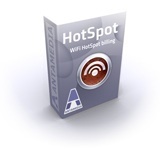 HotSpot Software - Kiosk Software - Internet Cafe Software: WiFi HotSpot Billing, Kiosk software, Internet Cafe software secures & controls public computers, self service Internet kiosk, Hotel WiFi, ISP Billing. 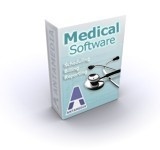 Software includes Print and Bandwidth Manager. Free trials. Antamedia Bandwidth Manager helps you control download and upload rate for every computer in your network. Computers can be limited with specified time and quota per session, day time when access is allowed and set to logout after inactivity. 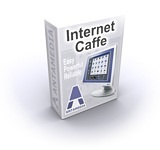 Antamedia bandwidth shaper is very suitable for Internet and game cafes as it tightly integrates with Internet Caffe software enabling automatic blocking of traffic when user logout. Every user and computer can have different download and upload rates. It's time to cut down your bills ! Bandwidth Manager software controls download and upload rates for every computer in your network, without installing any extra software. Reduces your overall bandwidth requirements, saving you money. Easy deployment on any standard PC with two network cards. Bandwidth Manager includes: Internet Connection Sharing (NAT), URL tracking, website blocking, website redirecting, whitelisting, automatic user login, detailed statistics and usage reports. Speeds up your network and reduces costs, with a simple, intuitive Windows control panel. Antamedia Bandwidth Manager helps you control download and upload rate for every computer in your network. Computers can be limited with specified time and quota per session, day time when access is allowed and set to logout after inactivity. Our bandwidth shaper is very suitable for Internet and game cafes as it tightly integrates with Internet Caffe software enabling automatic blocking of traffic when user logout. Every user and computer can have different download and upload rates. It's time to cut down your bills ! Antamedia Bandwidth Manager helps you control download and upload rate for every computer in your network. Computers can be limited with specified time and quota per session, day time when access is allowed and set to logout after inactivity. Our bandwidth shaper is very suitable for Internet and game cafes as it tightly integrates with Internet Caffe software enabling automatic blocking of traffic when user logout. Every user and computer can have different download and upload rates. It's time to cut down your bills ! Remote HotSpot Operator license is used for Manager which is allowed to see current statistics including bills, activity logs, real time usage statistics, with time, bandwidth, number of logins and sales details, and report usage with session based statistics (username, IP, MAC, login and logout time, time used, data transferred and sale made). Bandwidth Manager software controls download and upload rates for every computer in your network, without installing any extra software. Reduces your overall bandwidth requirements, saving you money. Easy deployment on any standard PC with two network cards. Bandwidth Manager includes: Internet Connection Sharing (NAT), URL tracking, website blocking, website redirecting, whitelisting, automatic user login, detailed statistics and usage reports. Speeds up your network and reduces costs, with a simple, intuitive Windows control panel. Antamedia Bandwidth Manager helps you control download and upload rate for every computer in your network. Computers can be limited with specified time and quota per session, day time when access is allowed and set to logout after inactivity. Remote Control Software for 5 users or computers. Remotely control your computers, work remotely, provide customer help, help desk service, stream presentation to multiple viewers. Antamedia Print Manager is a centralized solution which helps you to monitor, control, restrict and audit user printing. It includes statistics, reporting, billing module, and is suitable for both small and large businesses, Internet Cafes, Libraries, Schools, Universities, Law Firms, Governments.